*** NO CHAIN *** Situated on the edge of the village with undisturbed views across open farmland a fully modernised and beautifully presented end-terrace cottage. Private landscaped gardens and driveway providing off road parking. From our office in Tarporley proceed in the direction of Nantwich and turn right just after the Foresters Arms Public House into Birch Heath Road. Continue for a short distance passing the Tarporley Fire Station on your left hand side and the road naturally turns into Crib Lane. The property will be found on the right hand side clearly identified by a Hinchliffe Holmes For Sale board. 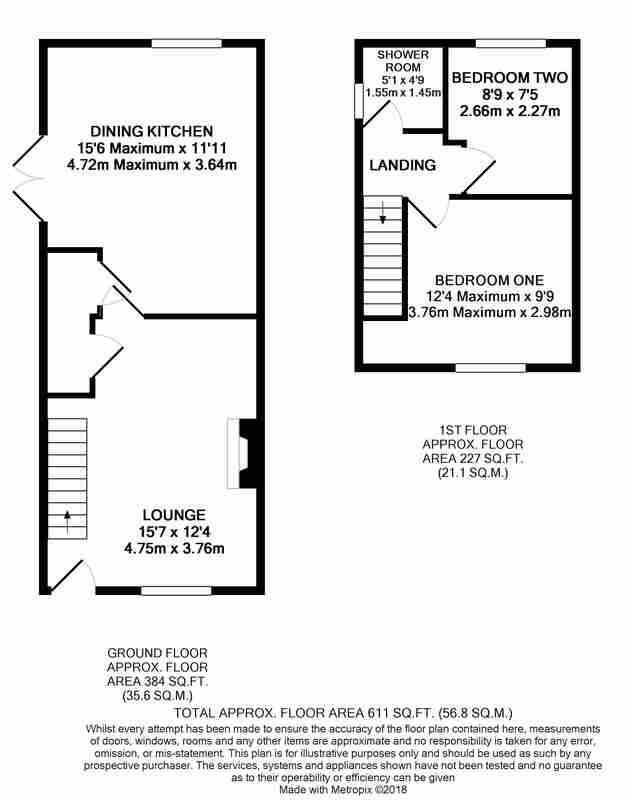 Laminate flooring, inset wood burning stove, stairs to First Floor, window to front, radiator and boiler cupboard. Tiled flooring, fitted with a range of wall and base units comprising cupboards and drawers. Base units with woodblock work surfaces over and tiled splash back. Inset one and a half bowl single drainer sink unit with mixer tap, inset range cooker with extractor hood over, built-in fridge/freezer, built-in dishwasher, inset downlighters, window to rear, double doors to side and wall mounted radiator. Travertine tiled floor and fully Travertine tiled walls, low level WC, pedestal washbasin with mixer tap, walk-in shower with wall mounted shower head over, inset downlighters, window to side and wall mounted heated towel rail. There is a large paved sitting area ideal for outside entertainment which opens onto a lawned garden with outstanding views across open farmland and fenced boundaries creating privacy. The driveway to the front creates off road parking. We believe that mains water, electricity and septic drainage are connected.